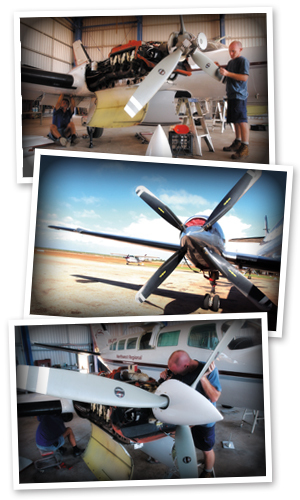 Broome Air Maintenance is conveniently situated on Broome Airport operating from its long established Hangar 2 facility. Broome Air Maintenance besides conducting 100 hourlys and other line maintenance also has the capability of aircraft modifications and rebuilds. Our experienced staff possess skills second to none in the area of sheetmetal work and have an extensive coverage of applicable licences for most piston and turbine aircraft.